Did we delight you, as a customer? Is there something in the process we can fix? We would love to hear about how we are doing! 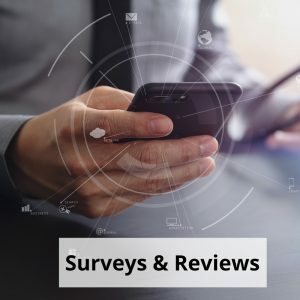 Submit a Shop Floor Automations review or survey – we have multiple ways to show our thanks to you! We also encourage you to participate in a case study with us for free publicity. If you are short on time, leave us a quick review on Google or Facebook. Thanks for being a customer of SFA! How do I get a Shop Floor Automations coupon code? If you have purchased from us before, contact your account rep and ask if you have shared with us before how you found us. If we do not have that information on file, let us know and we will present you with a discount to use! We will also send you a free Gcode sticker. If you use BobCAD CAM, we have a special discount you can use if you are integrating our products with this software. Contact us! Customer Success Survey. 7 quick questions. Reward: Free Shirt – How have we helped you? Want to leave a less than perfect review? We encourage you to reach out to us. Please call (877) 611-5825 or contact us. We’d love the opportunity to fix the situation. As of 2018, SFA has been in business for 20 years as a manufacturing integrator and we pride ourselves on our long-standing relationships with customers. We look forward to hearing from you. DISCLAIMER: You are only eligible for rewards from these surveys or case studies if you are an existing customer of Shop Floor Automations. We can only send out free shirt rewards to customers and to non-PO Box addresses. We can, however, send the free Gcode sticker anywhere within the United States. You can combine surveys and rewards, as long as you meet the qualification of being an existing or previous customer.